Pelé has been voted the greatest footballer of all-time – ahead of Diego Maradona, Lionel Messi and Cristiano Ronaldo. Other notable names in the top 40 included England’s Gary Lineker, Paul Gascoigne and Bryan Robson who perhaps most famously all represented England at Italia ‘90. 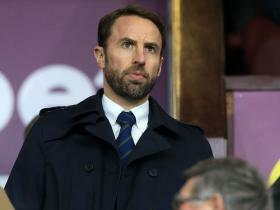 Steven Gerrard, Michael Owen and England’s current record goalscorer, Wayne Rooney and are among the more recent English players on the list. Sir Tom Finney, at one stage the Three Lions’ highest ever goalscorer, appears too. Legends such as Eusébio, Franz Beckenbauer and Marco van Basten featured as well, alongside current stars of the game Kevin De Bruyne, Mohamed Salah and Gareth Bale. Carried out through OnePoll, the research also identified the greatest manager of all-time as Sir Alex Ferguson, who finished ahead of Brian Clough and Bill Shankly. The greatest moment in England’s football history was revealed as the 1966 World Cup win. But the Three Lions’ second-greatest ever moment was the 5-1 win over Germany in 2001, while their third was Paul Gascoigne’s wonder goal against Scotland at Euro ‘96. Former England captain Terry Butcher, who features in Return to Turin: Italia ’90 airing on History on Monday, 28 May at 9pm, said: “There’s always been a real interest and passion for football in the UK, particularly the history and nostalgia.